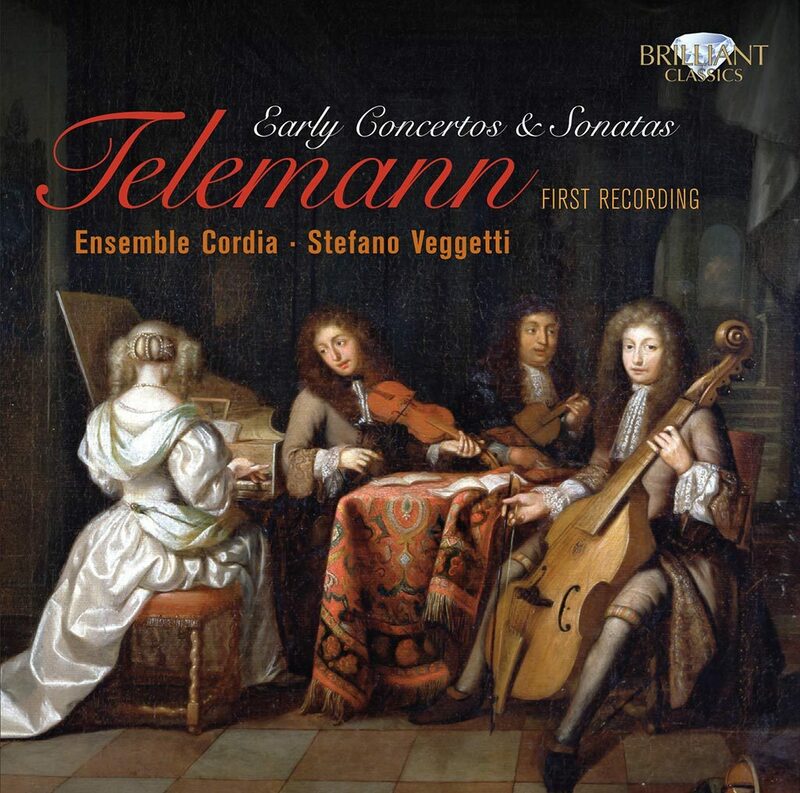 The works on this release represent an unfamiliar aspect of Telemann’s work. They date from early in his career when his was experimenting with the different musical and stylistic influences he was exposed to. It was during his time as Kapellmeister at Eisenach that he commenced his incredible output of sonatas and concertos for diverse groups of instruments. He found initially the modern Italian style too superficial (although Corelli was an early influence), and it was the French style that appealed, so much so that he said his concertos ended up ‘smelling of France’. 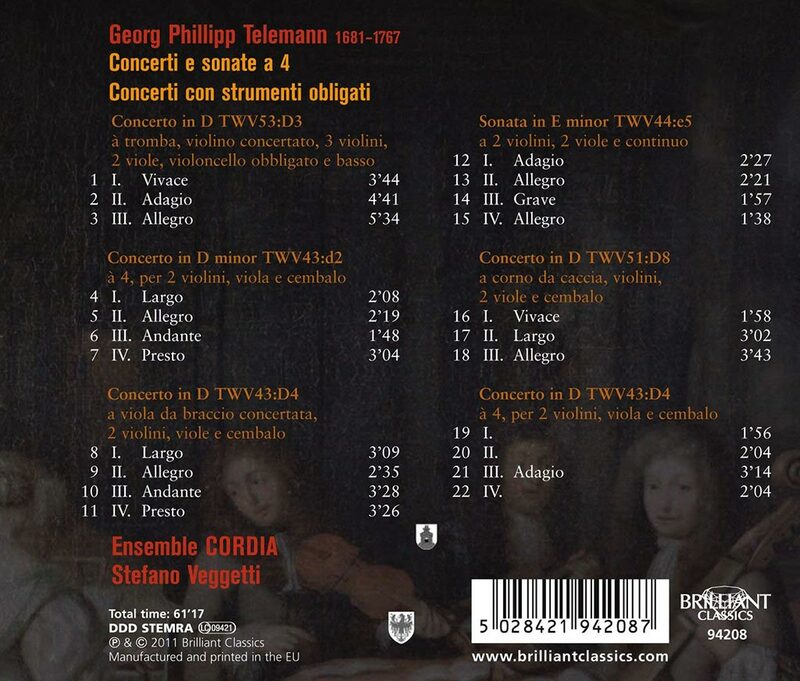 Eventually his view of Italian music softened, probably as his friend the violinist and composer J.G Pisendel had travelled to Venice and become a friend of Vivaldi, and it is not hard to imagine Telemann writing a brilliantly scored concerto for his friend’s return.